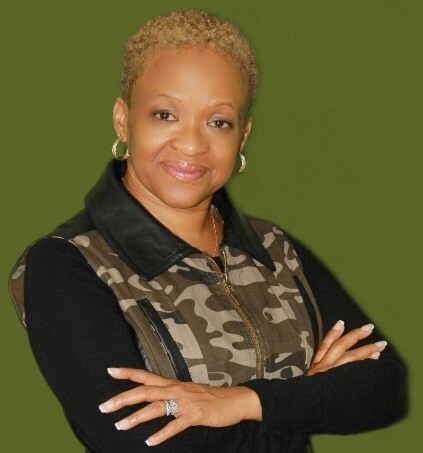 Victoria M. Austin is an entrepreneur, conference speaker, prophetic teacher, and spiritual advisor to Pastors, business leaders, psalmists, and minstrels. She is the founder of The Master’s Touch International Ministries where she serves as Senior Pastor. “The Touch” is a nondenominational, multi-racial Apostolic Hub located in Millington, TN were believers are being restored, equipped, activated and released to walk in their God given purposes while on earth. An Intentional Chief intercessor and Kingdom Strategist, Apostle Austin is graced with a strong apostolic, prophetic, and teachers anointing. She believes God has mandated her to go out and help others recover everything that has been strategically taken from them; their joy, their peace, their love, their families, and their desire too live abundantly! A forerunner, radio personality, and conference host, Apostle is sought after on an international level to inspire and activate believers of all ages. Along with her husband, Elder Isaac Austin III who serves as her source of counsel, and covering, Apostle established Free to Be Victorious Ministries in 2013. Under this ministry, Women on the Frontline (WOTFL) – Reporting for Duty operates as the primary subsidiary. WOTFL is commissioned to equip, empower, and encourage women of all nationalities to serve in capacities of influence while fulfilling their purpose to walk in purpose “on purpose.” As WOTFL charters are emerging in Ventura, California; Jacksonville, Florida, Atlanta, Georgia; Toledo, Ohio; Chesapeake, Virginia, and Suffolk, Virginia, Apostle Austin answers the call to counsel and cover Sons and Daughters in Florida, Georgia, Ohio, Mississippi, Tennessee, Texas, and Zambia, Africa by the leading and directing of the Lord. She has been featured on TBN and ministered weekly via The Master’s Touch International Ministries Radio Broadcast on 95.7 Hallelujah FM for years. Apostle Austin has two children Jhustin Orlando Pierce and Amber Jhanelle Pierce. She is also the proud grandmother to one grandson, Jaali Jhai Pierce.